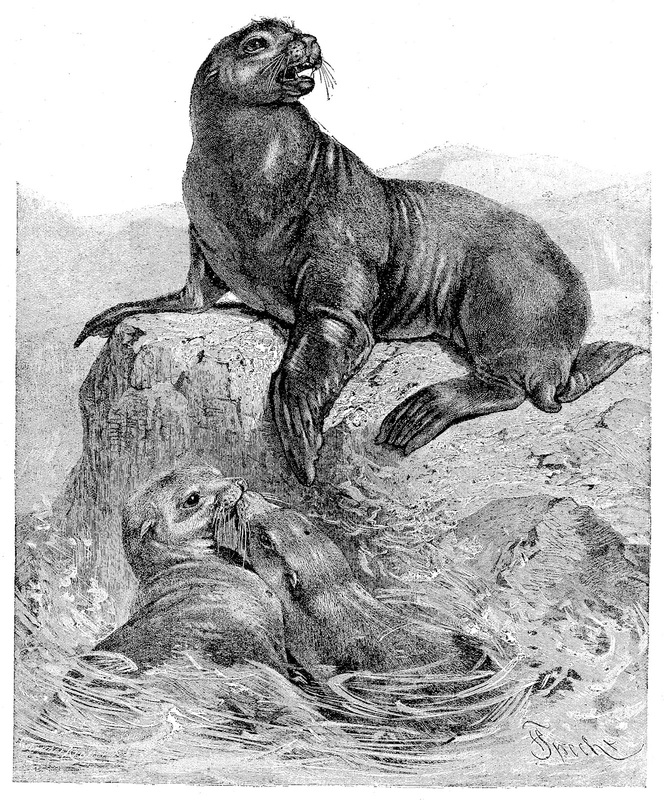 This beautiful vintage animal illustration is from a Victorian Era natural history book. I love the two Sea Lions at the bottom of the image. It looks as if they're kissing. You usually always see them doing this, and I think it's adorable. I hope you enjoy!